What are the values and infrastructures that we humans use to create with the world’s resources? and what alternative value systems can we propose that support a more sustainable and less harmful, integrated relationship? 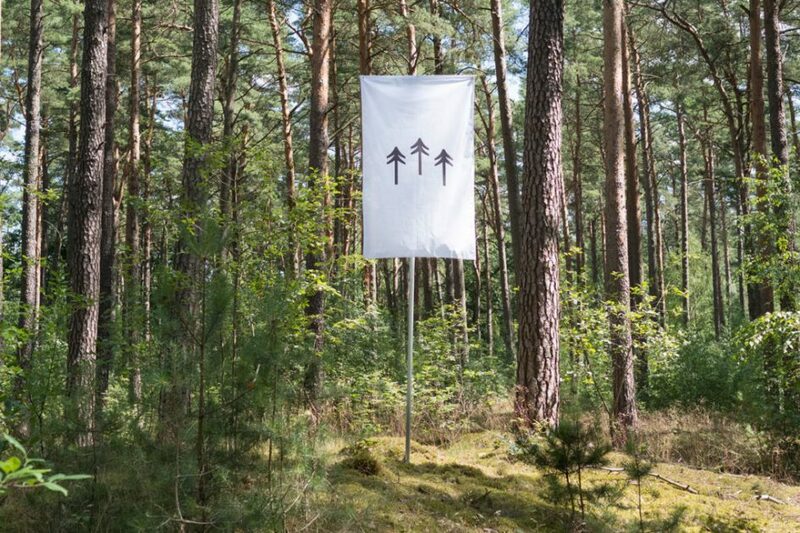 Terra0 offers us a kind of capitalist system that forges new ecologies, by putting a forest on the block chain it effectively hacks the current economic system in an attempt to place nature and capitalism on equal terms, by giving ownership of the forest, to the forest itself. Terra0 stands up to the challenge of merging the two seemingly separate worlds of capital and nature, through the digital infrastructure of the block chain we find that on a planetary scale the virtual and the natural are inseparable. Terra0 (2017) is a self owning augmented forest. The project is meant to be an ongoing art project that strives to set up a prototype of a self utilized piece of land. A forest has an exact computable productive force; the market value of the overall output of the forest can be precisely calculated. Beside its function as a source of raw material, the forest also holds the role of service contractor. The Yerra0 project creates a scenario whereby the forest, augmented through automated processes, utilizes itself and thereby accumulates capital. A shift from valorization through third parties to a self-utilization makes it possible for the forest to procure its real exchange value, and eventually buy itself. The augmented forest is not only the owner of itself, but is thus in the position to buy more ground and therefore to expand. Paul Kolling (1993) is a media artist and designer living in Berlin, Germany. After some time spent working as a carpenter, he moved to Berlin to study visual communication at the University of the Arts. Since 2014 he has been a student of the new media class of Prof. Joachim Sauter and Jussi Ängeslevä. He works at the intersection of media art, design research and industrial design, and strives to explore the interaction between (new) materials, objects and new technologies. Paul Seidler is a artist/interaction designer living and working in Berlin. Since 2013, he studies at the University of the Arts in the digital media class by Prof. Joachim Sauter. While studying he worked at a range of research facilities including the Design Research Lab and the Hybrid Plattform. His projects and papers have been presented at Leap Berlin, CTM, Dutch Design Week and transmediale. Max Hampshire (1993) is a researcher living and working in Amsterdam. He holds an MA in Philosophy from the University of Amsterdam and is currently researching and working at the Institute of Network Cultures. His research involves unraveling the emergent politics of cryptographically-enabled platforms, as well as how autonomous technologies inform the structure of contemporary capitalism. He is a sound artist (MFAAH, OSC~, Chimera Ensemble), and is the co-initiator of Noiserr, a nomadic audio-visual research group centered around noise. His publications can be found on the Institute of Network Cultures MoneyLab blog, and in the forthcoming MoneyLab Reader.